Siân Richards London is a conscious cosmetic brand. We took a good look at the industry and very quickly knew that in the 21st Century, being eco conscious was the only way forward for us. It means we’re independent, that we won’t compromise on quality and deliver premium formulations to our clients. Siân is a force of nature, a single mother and a career girl too. She is a Brit and an award-winning, second generation Makeup Artist. Read more..
Our 4K Longwear Cream, 4K Lipwear and Alco Colour Palettes are filled to the brim with product. Great Pigments and Value! Makeup Pros use this. Clean and Restore Your Brushes – Naturally! 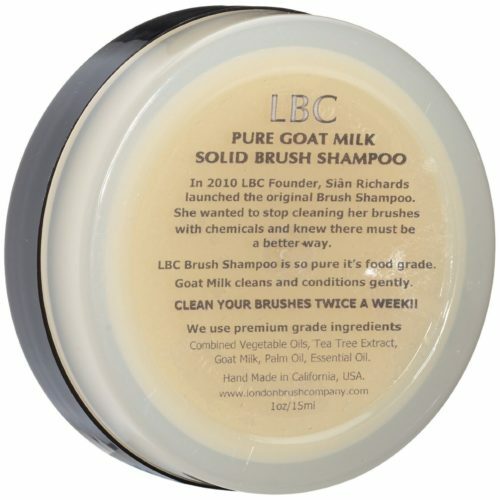 Sian created our Eco Friendly and Bio Degradable Original Pure Goatmilk Solid Brush Shampoo and later Vegan Solid Brush Shampoo because she wanted an alternative and safe way to clean and restore her brushes. Almost a decade later and it’s still the Number One. Why? Because it Deep Cleans, is Safe to Travel with, is Chemical Free and Cost Efficient! It delivers on every time and cleans your sponges too. Win Win! !